The son of Turkish President Recep Tayyip Erdoğan is pushing ahead with a libel suit against Erdoğan ally, far-right Nationalist Movement Party (MHP) leader Devlet Bahçeli for his comments in a 2015 rally in which he questioned why Bilal Erdoğan chose Italy to pursuit his doctoral studies, secular Cumhuriyet daily reported. 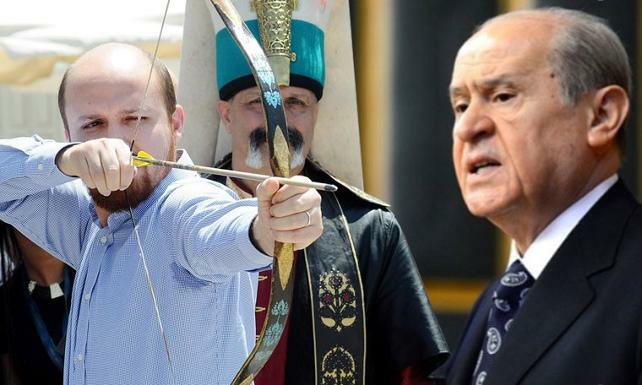 The Turkish president dropped all libel suits against the leaders of Turkey’s political parties following the July 15, 2016 coup attempt; however, his son, Bilal Erdoğan, is taking his case against Bahçeli to Turkey’s Supreme Court of Appeals, following multiple dismissals by Turkish courts, the daily said. Bilal Erdoğan is demanding 50,000 Turkish liras from Bahçeli in damages. Bilal Erdoğan, Devlet Bahçeli’ye açtığı tazminat davasından vazgeçmiyor.